Man Utd have reportedly set their sights on Lazio star Sergej Milinkovic-Savic as rumours of a Paul Pogba exit this summer refuse to go away. The Red Devils secured a win over West Ham United on Saturday to keep their hopes of Champions League qualification alive as they sit in fifth place and just two points behind Chelsea, with a game in hand. Their focus in midweek will switch to Europe as they hope to overturn their deficit against Barcelona in their quarter-final tie, but it seems as though speculation over their potential summer transfer business refuses to quieten. As reported by The Sun, it’s claimed in Italy that Man Utd have made an inquiry for Milinkovic-Savic, although it’s noted that the Serbian international has an £86m valuation from Lazio. There is no doubt that the 24-year-old is a talented individual, with his physicality, agility, defensive work-rate and attacking threat all making him an ideal modern day midfielder. However, he has struggled to replicate his best form this season, managing just five goals and three assists in 36 appearances, and so it has to be questioned as to whether or not he’s worthy of such a huge investment from Man Utd. Ideally for the Premier League giants, they would be looking at ways to bolster their squad and to add quality rather than having to replace key individuals. According to Marca, they are seemingly fighting to do just that in terms of keeping hold of Pogba, as it’s reported that the Real Madrid transfer target has a whopping €150m price-tag. The World Cup winner scored twice at the weekend to take his tallies to 16 goals and 11 assists in 41 outings this season, as although he hasn’t been hugely influential in more recent games, he has been decisive since Ole Gunnar Solskjaer took charge in December. 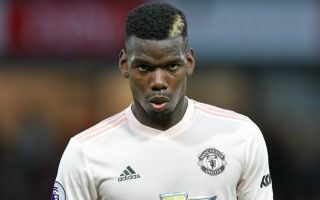 In turn, Man Utd will surely hope to keep him at Old Trafford for the foreseeable future, but with Zinedine Zidane said to be plotting big changes at the Bernabeu this summer, as noted in the report above, it remains to be seen if Real Madrid are prepared to splash out to get their man. Should they do so, that could give United the necessary funds to go out and pursue their preferred targets such as Milinkovic-Savic to help fill the potential void left behind by the Frenchman.